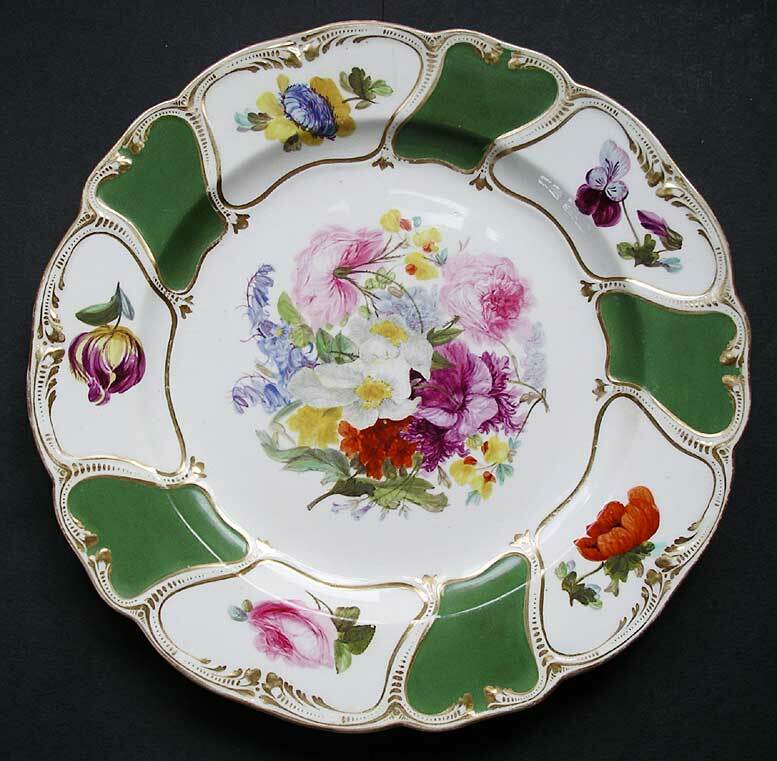 "Moses Webster painted the original Dyrham Park Trotter Service, which has since given its name to all pieces painted in this distinctive pattern of exquisite central flower sprays, with alternate chrome green panels. 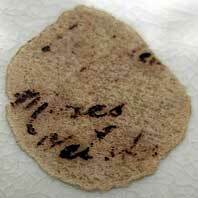 This wonderful example in the "Trotter" service pattern - is marked on the back as the work of Moses Webster. His flower painting technique is quite distinctive and embodies a soft, fluffy, cotton wool feel." Antiques Expert Hamilton Bear. References: Webster was a fine flower painter born 1792 died 1870. He was apprenticed at Derby but may have started at Worcester. His work is identified on Derby circa 1820-1825. He then left the Derby Works to give drawing lessons in Derby town. 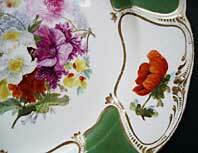 Believed also to have worked at London decorators Robins and Randall in 1817 and to have decorated Nantgarw Porcelain. Not all "Trotter" pattern pieces found are by Webster. A number of fine Derby artists painted these "Trotter" service pattern pieces. Pieces are illustrated in most of the major works on Derby Porcelain. For example see, Crown Derby Porcelain, F. Brayshaw Gilhespy (F. Lewis 1951) plate 45 fig 79. Dimensions: this plate measures 219 mm max. Marks: Early Victorian collector label (faded) which reads, "Painted by Moses Webster" and the Derby Crown and cross batons with dots over D marks in iron red, as illustrated. Condition: a great display item with no damage chips or restoration to porcelain. Condition report: fine short surface hairline from edge at 12.00 o'clock main image. 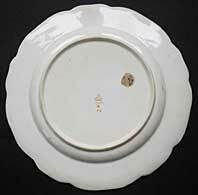 Difficult to spot and does not impact on wonderful visual display qualities; small areas/patches of typical faint light age 'browning' discolouration to porcelain; common to Derby plates of this period.